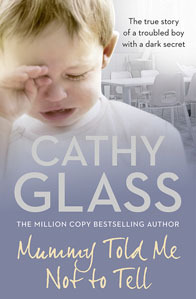 Mummy Told Me Not To Tell is the true story of Reece, who was the last of six siblings to be taken into foster care. I was Reece’s fourth foster carer in a month, and when he arrived he was aggressive, hyperactive, and out of control. Although only seven years old he had already been excluded from two primary schools! I set about changing his behaviour, and he slowly started to respond. Although it was known that Reece had been abused while at home, no one was aware of the true level of abuse. Reece’s social worker had to compile a report for the court hearing, and he discovered five massive files in five separate council offices relating to Reece’s family. Eventually I read the report and was deeply shocked, however certain things about Reece started to make sense and the darkest of family secrets was revealed. “It is very well written, and is one of those books that you just want to keep reading. Provides moments of happiness, yet can also bring a tear to the eye.